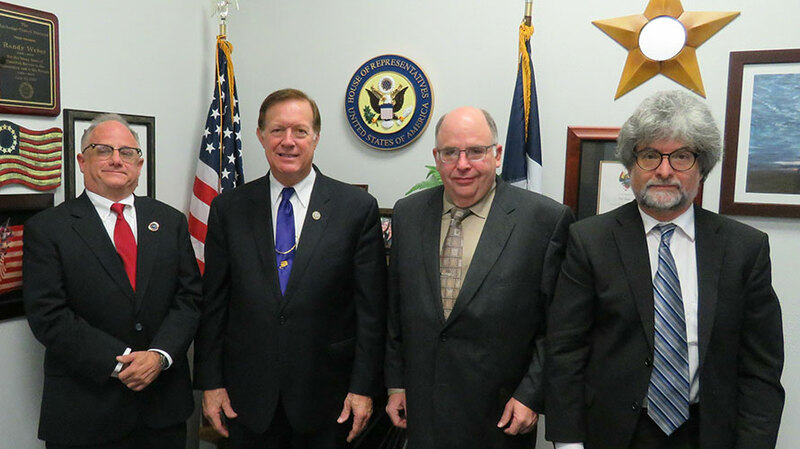 Photo: 2018 Texas Blitz team meeting (L to R): John Cook, Congressman Randy Weber, Eric Bowen, David Cheuvront. The Alliance for Space Development was very successful in targeting key Texas Representatives in 2017 as a follow-up to March Storm 2017 and a precursor to March Storm 2018. Members of the House Science, Space and Technology Committee were the key targets along with the Chair of the House Commerce, Justice and Science Appropriations Sub-committee, John Culberson. We did this using local National Space Society officers and members in 3 key Texas locations: Dallas, San Antonio, and Houston. We also took advantage of teleconferencing as well to bring in key staffers from DC. 1) Cultivate closer relationship with Eddie Bernice-Johnson as the possible new Chair of House Science, Space, and Technology Committee in 2019. 2) Maintain a relationship with Rep. Brian Babin’s office using local NSS leaders in Houston as the possible continuing Chair of the House Science, Space, and Technology Committee in 2019. 3) Continue follow-up with John Culberson, the current Chair of the Appropriations subcommittee through additional meetings to build upon his interest in funding the critical infrastructure in space through both physical projects and inspiration. Last meeting: Feb 1, 2018 with representative. Topics discussed included ULCATS, Cis-Lunar Commercialization, and NEOCam. Rep. Johnson responded that maintaining recent funding levels for NASA has been a challenge, and there is uncertainty regarding the expectations of the Republican majority. Mr. Ruffin responded that after the midterm elections, the Democrats might be the majority, and if so, Rep. Johnson would be the ranking member of the SST Committee. Rep. Johnson seemed to appreciate Mr. Ruffin’s confidence, but stated that she was not as optimistic. Mr. Ruffin stated that he will maintain his optimism, and we will all wait for the results this November. Mr. Ruffin and Mr. Coleman discussed the water ice in the polar craters – and carbonaceous Near Earth Asteroids (NEAs) as sources of liquid water, oxygen for breathing, and rocket fuel. 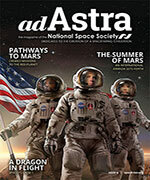 Those activities, and others, would be enhanced by the Cis-Lunar Commercialization Act. Rep. Johnson asked about other raw materials being mined and brought to Earth. On Planetary Defense, Rep. Johnson mentioned that Congress held a hearing in Feb. 2013 to discuss the risks. Mr. Ruffin stated that the UN also held a meeting/hearing in response to the airburst in Russia. A follow-up meeting, after the March Storm in D.C was suggested when Rep. Johnson returns to Dallas. The local staff person asked Mr. Coleman and Mr. Ruffin to contact her to schedule a follow-up meeting. Last meeting: Feb 22, 2018 with Representative, alone with the team. This was the second of two meetings. The first was only with staff. The Rep. supports asteroid and lunar mining. He knows about Axiom and is “all in” on it. Bruce Goldfarb noted seeing geology book(s) on the shelf. The Rep. wants to see the NSS Space Settlement Roadmap. He believes NASA needs something big—he’s convinced it will be the discovery of extraterrestrial life in water oceans such as Europa. He believes the Europa missions may do this, and is extremely supportive. The Rep. would like Trump to be remembered as the father of the interplanetary highway system. He sees himself as a shield to keep politics out of NASA. “Leave the scientists alone” In that vein, he has presided over a big increase in NASA funding this year. The size of the increase in the Europa mission funding is likely due to his leadership. This meeting was not with the Congressman but the local staffer was very well informed and gave the team a lot of time to present their case. 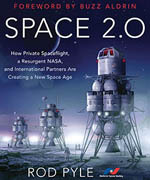 The Congressman is currently the Chair of the House Space Subcommittee. As a result of this meeting, key insights were gained about resistance to the SEDS Act and this was one of the factors in taking it off the agenda for the March Storm 2018 meetings. Meeting was in the local office, but by telecom with staffers in DC. The Representative is the Chair of the full House Science, Space, and Technology Subcommittee. The key take away from this meeting is cultivating relationships with the staff that are likely to go on to work for other Congressmen as well is important. Developing a relationship with the incoming Chair, whether Republican or Democrat, should also be considered as a key objective for 2019.